Be the first to share your favorite memory, photo or story of Leland. This memorial page is dedicated for family, friends and future generations to celebrate the life of their loved one. 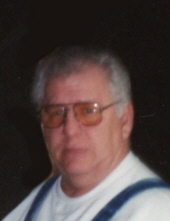 Leland E. Sutton, age 72, passed away March 14, 2019, in Omaha, Neb. Leland was born, March 6, 1947, in Decatur, Neb., to the late Leon and Alice Sutton. He proudly served his country in the U.S. Marine Corps from 1964 to 1968. He was united in marriage to Imo Jean (Wise) in 1976 and he worked as a truck driver. Survivors include his wife, Imo Jean; sons, Michael Sutton (Katie), LeRoy Sutton, Jeff Ball (Lora), all Council Bluffs; daughter, Cherne Patterson (Chad), of Indianola, Iowa; 7 grandchildren; 1 great-grandchild; brother, Dennis Sutton (Margaret), of Omaha; sisters, Braunda Sutton, of Glenwood, Iowa, LeAnna Mann (Mike), Anita Osterlund, all of Council Bluffs; many nieces, nephews, great-nieces, great-nephews. To send flowers or a remembrance gift to the family of Leland Eugene Sutton, please visit our Tribute Store. "Email Address" would like to share the life celebration of Leland Eugene Sutton. Click on the "link" to go to share a favorite memory or leave a condolence message for the family.